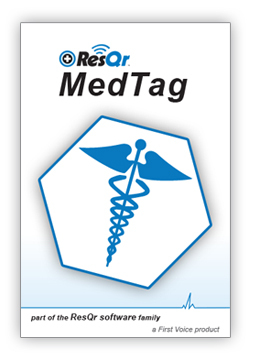 MedTag is for quick access to your emergency information in unexpected situations or during urgent care clinic visits where you are unable to convey crucial information to emergency rescue or you just need quick reference to personal medical history or health insurance details. Simple and straightforward, keep this app current and accessible on your device. If immediate emergency medical assistance turn to the award-winning First Voice ResQr: Rescuer Software offered by Think Safe (developer). The only interactive first aid software on the market, ResQr uses Yes/No questions to deliver step-by-step instructions for over 30 medical emergencies within 12 injury buttons. It is a powerful source of refresher training to improve skill retention. 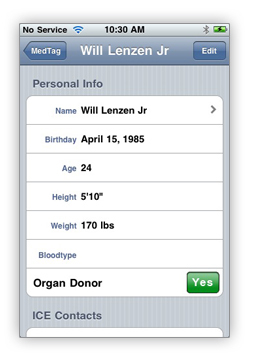 More importantly, you can receive real-time lifesaving instructions in first aid and basic CPR procedures from your iPhone, iPod Touch or iPad*. *App will work on iPad at resolution 480 x 320 pixels. 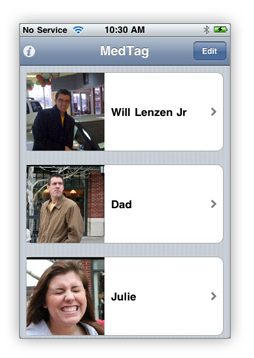 We are currently in development of full iPad resolution of 1024 x 768 pixels. "ResQr First Aid & CPR Coach should be a must-have app for everyone -- parents, those who travel, those who work in an office, and students." There is a group of people who work diligently to manufacture the most innovative first aid and CPR preparedness tools and training so that you can be better prepared to save the life of a friend or loved one in an emergency. Follow us on Twitter! iPhone App Store!